We provide Premium Sound & Lighting at every event. -Intelligent Moving Head Light on Upright Truss -- $ Call ea. We have the most extensive and updated music playlist anywhere. The dance party is what people remember most from a formal event or wedding. 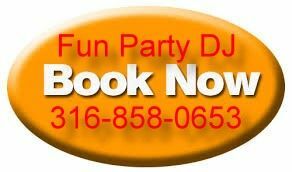 A skilled, professional DJ will read the crowd, follow the rules, and provide a party exactly as designed. We offer easy communication tools to pick just the right wedding music, top 40 hits, or theme music for a corporate event or private party. 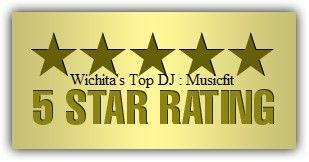 Whether you are looking for a professional Wedding DJ, a Karaoke DJ, An Emcee or DJ for a fundraiser, or just an experienced Party DJ to play music and have fun with the crowd, Wichita DJ Professionals party entertainment offers the highest quality DJ service to our clients. We keep the focus of the party squarely on the guests of honor, always remembering that we were brought in to help the celebration- not steal the spotlight. Our on-line planning tools and face to face consultations allow you write the rules of the evening. 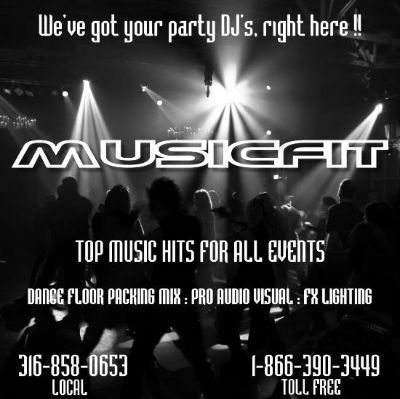 Your musical tastes, along with information about your guests, help us make the party as personal and unique as you expect. Our DJ music library includes everything from top 40 hits to the most personal wedding music imaginable. 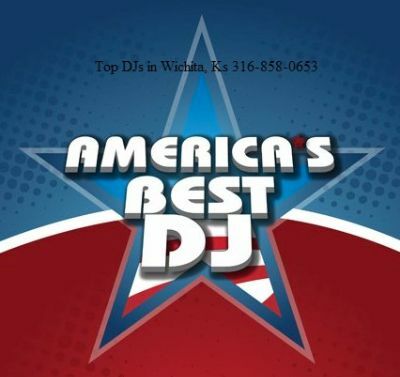 Trust Wichita DJ Professionals party entertainment to listen when you share your tastes, and we will create the best dance party and a truly memorable event. It's important to us that you feel comfortable, and that you relax and enjoy the party! We pledge to help plan, give you hints and tips, and coordinate with other professional vendors to ensure a worry free party or event. 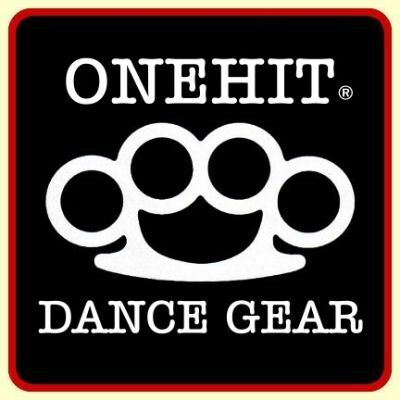 Not every dance party should be top 40 hits, so we offer a huge library of wedding music standards, alternative and hip hop deep tracks, and those songs that are hard to find, or need to specially transformed to play at your special occasion. If you have hired us as a karaoke DJ, count on us to create a fun environment with plenty of microphones, an easy to see monitor, and all the duties you would expect from an emcee. Karaoke changes the tone of an event, and only the right professional DJ can balance the mix of being a karaoke DJ and a wedding DJ/event DJ. Each year, DJ Times nominates 100 DJs, and fans can vote for their favorites from Memorial Day to Labor Day. Additionally, America's Best DJ is supported by a nationwide schedule of festivals and club events, known as America's Best DJ Summer Tour Presented by Pioneer DJ & DJ Times. MUSICFIT ENTERTAINMENT ™ all rights reserved.